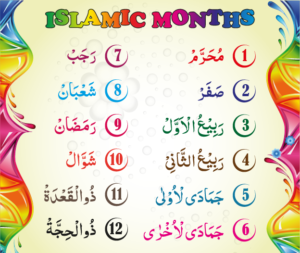 Sixth month of the Islamic Calendar. Meaning: Second month of summer. 1. Battle of Salaasil took place in 8 A.H.
2. Abu Salama (R.A) died in the year 4 A.H.